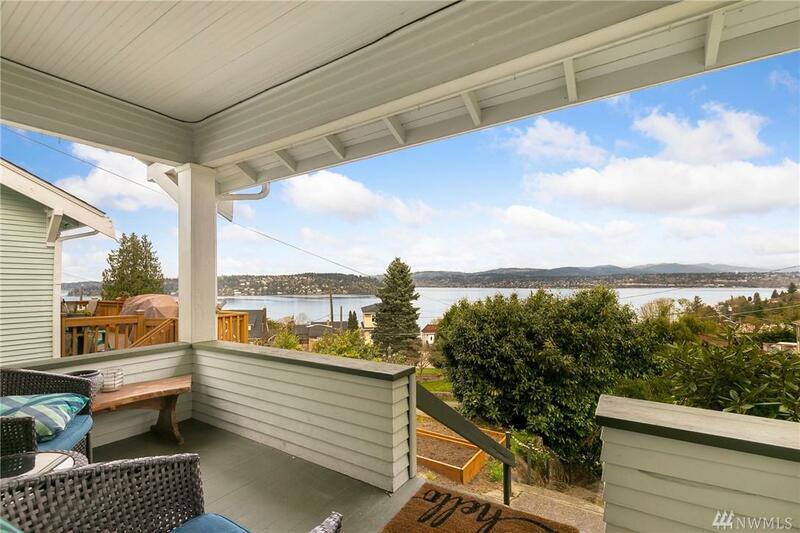 Perched high above the street with commanding views of Mercer Island, Lake Washington and mountains beyond-yet with convenient alley access at the back door-gives you both inspiration and comfort. 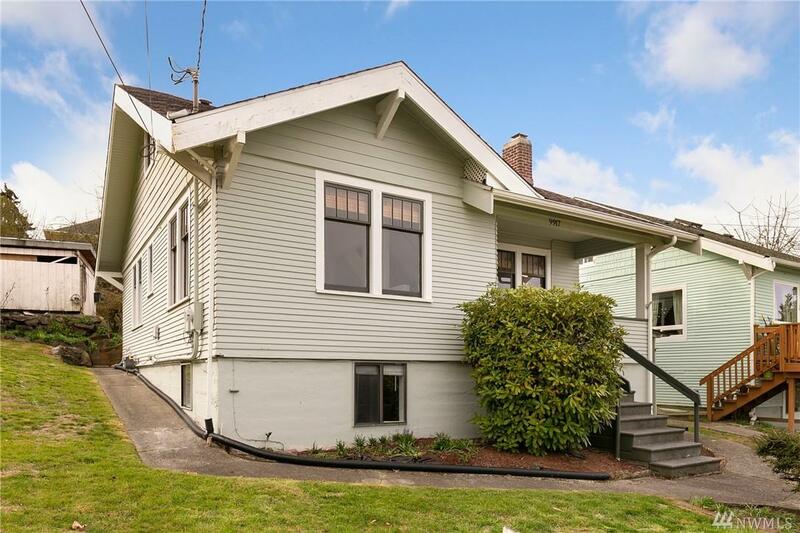 Light, bright entertaining rooms, an upper master suite, bed and bath on main and large flexible space on lower. 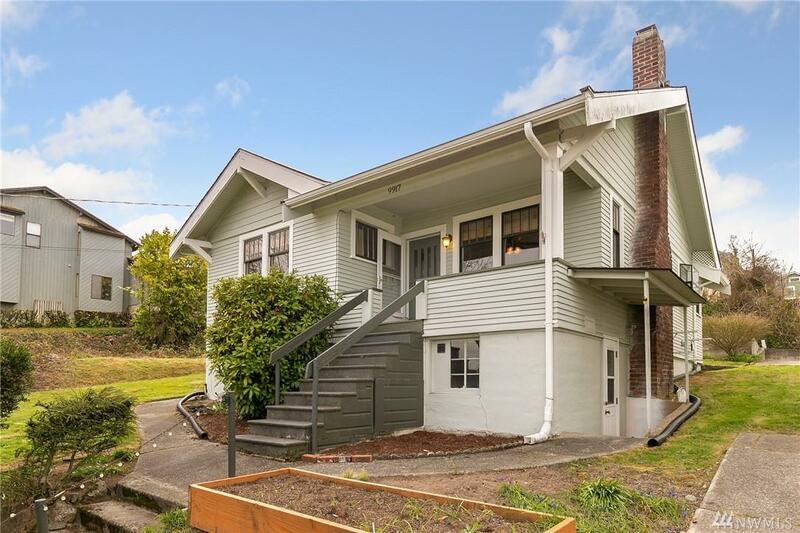 Quiet and private with easy access to Seattle and the Eastside. 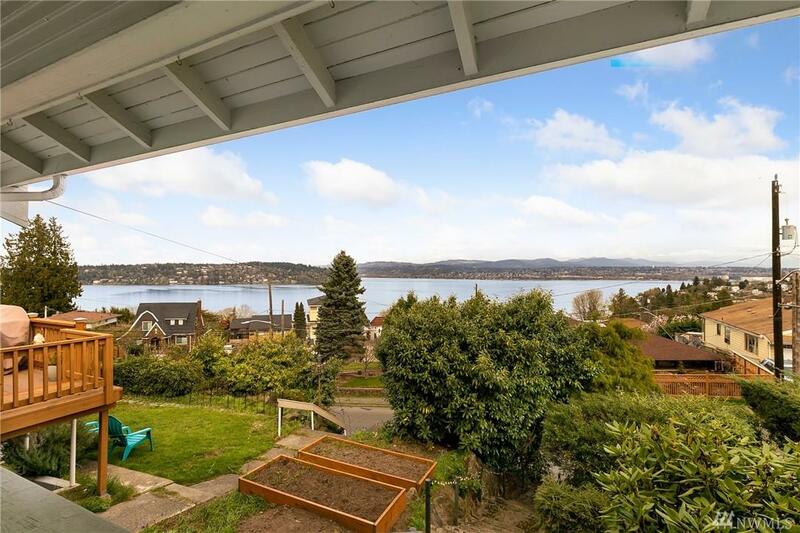 Gardening space in the lovely front yard with area for BBQs with mesmerizing views.